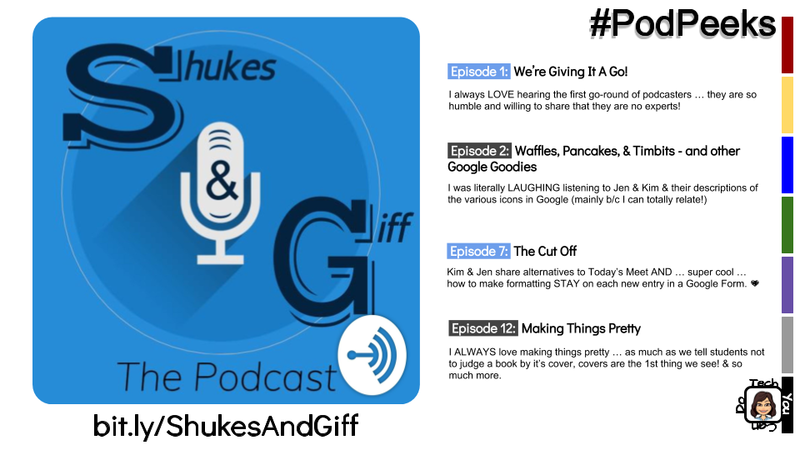 Today's #TechYouCanDo is the podcast "Shukes and Giff". It is hosted by two awesome educators, Kim Pollishuke and Jen Giffen. They are a trip to listen to, making learning fun! I also appreciate the fact that their shows are of a shorter nature ... longest one so far is 31 minutes. Their podcast is also created on a new-er platform - Anchor - which I've heard good things about! Here are 4 of their podcasts you need to be sure to check out ... links below!